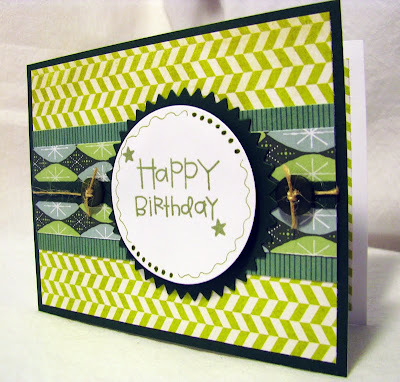 Scrappin' with DeeDee: Just Make It Simple....Oh and Green! Just Make It Simple....Oh and Green! Well we made it to yet another wonderful weekend! Isn't it funny how we start out on Monday wishing for the weekend to arrive? Well, maybe that's just me. 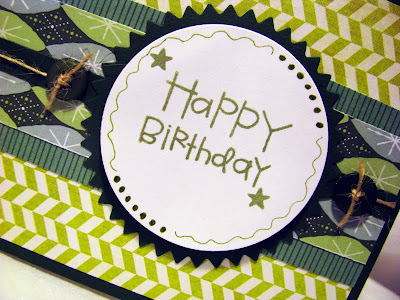 But anyways, how about a sweet and simple card for ya today? 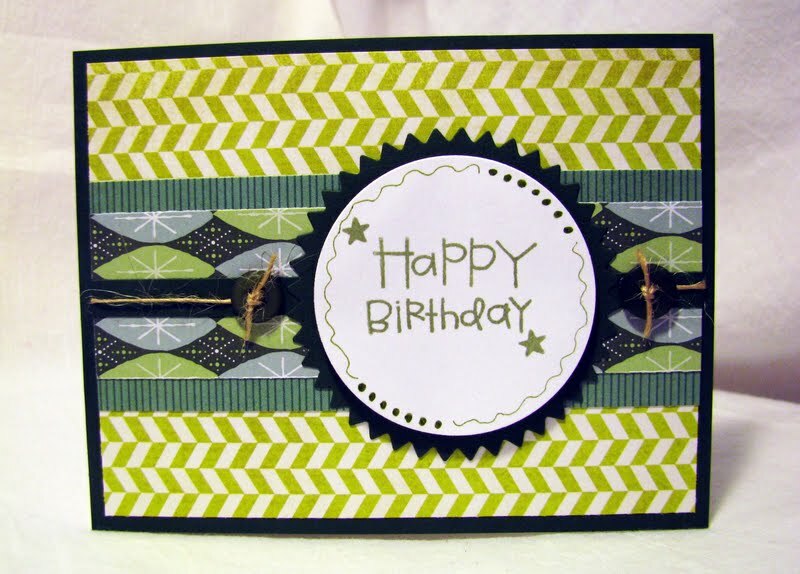 My youngest son's friend had a birthday the other day and he asked me to make a card for him. "Just make it simple.....Oh and he likes green" he said! Easy enough. Green it is and simple it is! Mission accomplished! It may be hard for you to tell, but I used 3 patterned papers and 2 solids. Of course the solids are obvious, but the patterned papers are layered one on top of the other. This sentiment is a Paper Smooches stamp from the set called Birthday Buddies. I also used a bit of button twine to create the look of the entire card being wrapped and then buttoned on either side of the sentiment! It's really just tucked in on both sides. I used THESE cards for my inspiration! Debbie is so talented! I love using the starburst Nestie for guy cards, it seems so masculine to me. 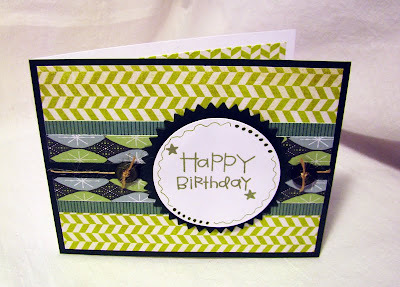 I don't know about you, but I am really loving all the different design patterns going every which way on this card. Such visual interest...which I love! Another amazing masculine card! You make them better than anyone I know!! I agree about the starburst Nesties, there's something about them that's perfect for guy cards! Awesome papers and colors and yes, I do love all the different patterns. Fabulous card ladybug!